Don’t embark upon an organizational change effort before reading this book. Bob Whipple, the Trust Ambassador, has written an important book. 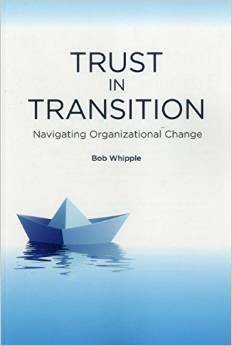 During my years leading organizations in extreme transitions, I wish I had had Bob’s book with me. Transitions, such as mergers, often fail or operate sub-optimally due to cultural issues, frequently because the parties involved lack trust in one another. 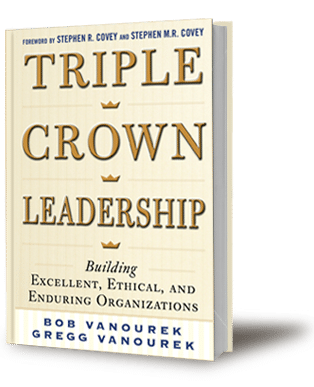 Bob Vanourek is co-author of (with his son, and Gregg Vanourek) and speaker on Triple Crown Leadership: Building Excellent, Ethical, and Enduring Organizations, winner of the 2013 International Book Award (Business: General). Like us on Facebook. Plus us on Google. Follow us on Twitter: @TripleCrownLead, @BobVanourek,@GVanourek. Sign up on our website to receive our newsletter and blog.